The FBI had a Code of Conduct that all Agents were aware of, as we were all handed a FBI Agent Handbook in training school at the FBI Academy. It was pretty inclusive. It explained in great detail what FBI Agents can and cannot do. I don’t know what new Agents are given or told in training school today, but can only hope that the Code of Conduct is still explained to them although it sure doesn’t look like former FBI Director Comey, Deputy Director McCabe, ADIC Strzok or his girl friend Page seemed to follow any code of conduct! 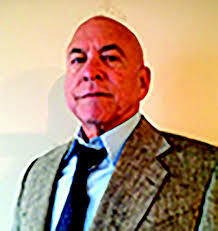 A great deal of the Code of Conduct follows Federal Law, US Code!. 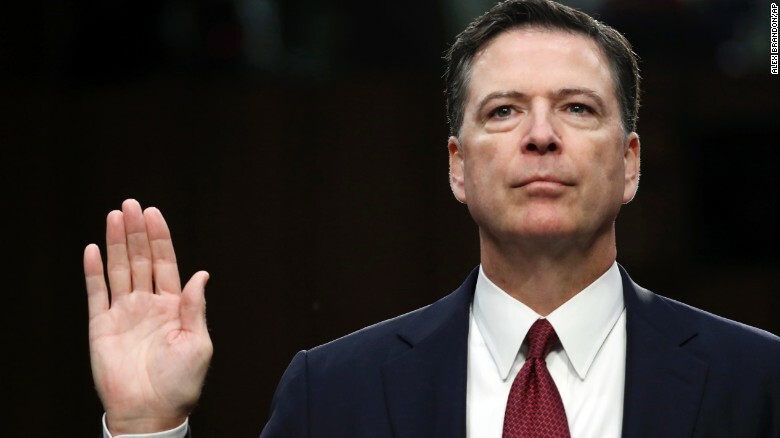 James Comey swears to tell the truth. For example, any work product, produced by FBI Agents, including Director, Assistant Directors, or Deputy Director belongs to the FBI, no exceptions! That work product and the methodology of producing it, also belongs to the FBI. If you used your personal computer to produce that work product, you made that device, FBI property since it has storage capacity, memory capacity, hard drive! Therefore when Comey made work product on “his” personal computer, the same thing Hillary Clinton did by her off site, personal server, it was no longer Comey or Hillary’s “personal” property, especially if it contained classified information or a private conversation with the President of the United States! 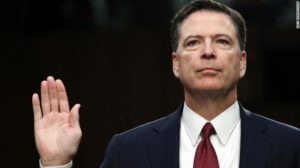 If any FBI employee took FBI property, such as notes, memos, any work product and gave it to a “former” FBI Agent to leak to any other unauthorized person…they have committed several Federal Crimes and violated everything the FBI stands for, Fidelity, Bravery and Integrity and our Code of Conduct. Simply said, FBI Agents, cannot do what these, so called FBI Agents did! They intentionally changed the way we interview subjects to alter the Clinton investigation by interviewing her in front of 5 of her lawyers and another subject; witness and another attorney, Cheryl Mills! When Clinton lied to Strzok about not receiving any training on classified information, he never showed her the Non Disclosure Agreement that she read, signed and agreed to obey! Strozok and Page clearly demonstrated in personal emails that they intended to alter their investigation, in case Clinton won as President. They Obstructed Justice, attempted to Fabricate Evidence by reducing the magnitude of Clinton’s perceived guilt by playing down gross negligence to extremely careless in the handling of classified information, in releases made by Director Comey. Those are “Overt Acts” of Criminal Conspiracy to interfere in criminal investigations, Hillary’s…not to mention, interfering in a Presidential election! Probably the most heinous of all the Criminal Acts was the failure by Comey, Strzok, McCabe, DOJ employees Rosenstein, Ohr, Boente and Yates and probably others; to disclose that the entire Fusion GPS Dossier was a “salacious, unverified” (Comey’s words), fabrication, hired, originated by and paid for by the opposition candidate for President of the United States…Hillary Clinton! No Judge in the country would have allowed a FISA Warrant to be issued to “overhear” alleged campaign workers of Hillary’s opposition, Donald Trump! The warrants are fruits of the poison tree and violate the most sacred civil right we have…the right to privacy. Ironically, Hillary‘s first job out of law school was on a Democrat led committee to impeach then Republican President Nixon for actions surrounding a failed burglary of the Democrat campaign Headquarters, Watergate. President Nixon was not even aware of the attempted burglary! Hillary not only knew of the fake Dossier (sort of an attempted Burglary of the Republican Campaign), she paid for it! The actions of these “vigilantes” have brought great discredit, to our Rule of Law and the FISA Court system! 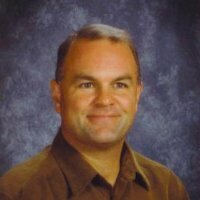 Any FBI Director I ever worked for would have suspended all the FBI employees who signed the FISA warrant application, affidavits or any other false papers presented to the Court, opened an Administrative Inquiry on every one and initiated Criminal Actions, if the Administrative Inquiry shows Criminal intent and criminal Acts! 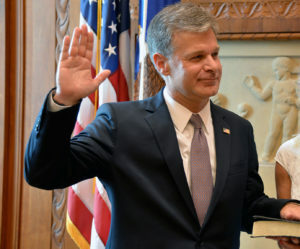 Christopher Wray being sworn in as FBI director. 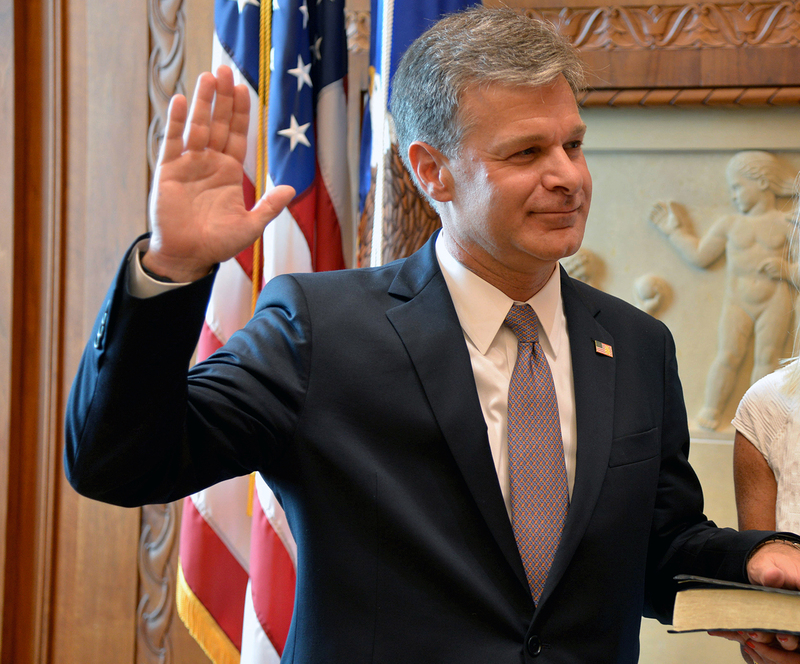 Director Wray… there is no need to defend the FBI…neither the President nor the American people nor former Agents are attacking the Bureau! We are going after Criminals who happen to work for the FBI. We who worked there for decades know the honesty and integrity of the Bureau… we helped create it…now it’s your turn…do your job, please!